Current Conflict: Ongoing tribal violence in South Sudan has erupted into mass killings between various ethnic groups. Soldiers and government officials belonging to the Dinka tribe have been forcing members of the Nuer tribe out of positions of power and targeting Nuer civilians throughout South Sudan. There have been additional reports of Dinka soldiers going door-to-door and killing civilians identifying as Nuer. Nuer militiamen are also continuing this cycle of sectarian violence by targeting and killing members of the Dinka tribe as well as of the Murle tribe. Background Information: Declaring independence in 2011, South Sudan is the world’s youngest nation as well as one of its most troubled. This region has been embroiled with conflict since Sudan’s independence in 1955 when rebel groups in the south began fighting the northern government for an independent South Sudan. Ethnic differences sowed discontent between the two regions, with the south being majority African Christians and the north being mostly Arab Muslims. In addition, concentration of political power in the north led to marginalization and exclusion of southern Sudanese from the democratic process. 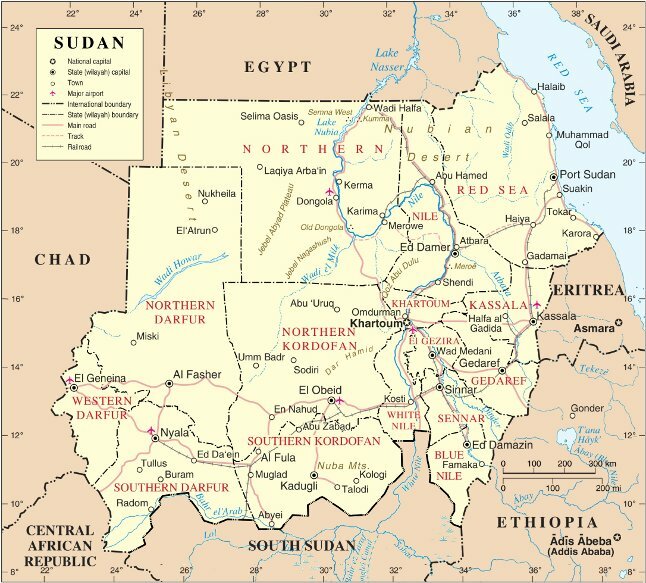 The first Sudanese Civil War lasted from 1955 until 1972 with the south being granted greater autonomy at its conclusion. A second civil war would break out in 1983 after the government in the north was replaced with an aggressive Islamic dictatorship that repeatedly undermined southern autonomy. In January 2005, the final peace treaty in a set of agreements known as the Comprehensive Peace Agreement (CPA) was signed, and the south was granted the right to hold an independence referendum six years from then. On July 9, 2011, South Sudan declared independence with almost 99% of the population voting “yes.” However, the violence did not end with South Sudan’s split from the north. Tribal violence over agricultural and livestock continued during the early months of South Sudan’s independence with the government not having the funds nor the resources to handle the increasing violence. In attempt to curb such violence, President Salva Kiir enacted emergency powers to disarm all ethnic groups within the military. However, after the disarmament, generals began to rearm their own ethnic groups, beginning with the Dinka and then the Nuer. Fighting broke out between the presidential guard and both ethnic groups, while Dinka soldiers began targeting Nuer civilians in the capital Juba. Nuer militia, in hopes of overthrowing President Kiir, formed an opposition rebel movement to the mostly Dinka-supported government. On August 26, 2015, President Kiir signed a peace deal with rebels. Among other things, the peace deal requires the re-institution of rebel leader Riek Machar as Vice President of Sudan. Before this signing, at least seven ceasefires were agreed to and then broken.